Canadian Standards Association (CSA) is a membership based non-profit organization that develops product safety and quality standards. 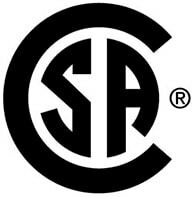 CSA also provides product testing and certification services. CSA is Canada's leading authority for compliance testing to both national and international standards. While many window manufacturers are CSA approved, very few are CSA Certified. CSA approval for windows only require a product to be tested once at a testing laboratory as opposed to CSA Certified windows that are subject to numerous audits at the manufacturing facility each year which absolutely ensures that the windows are being manufactured exactly the same way they were tested. Vinylguard Window and Door Systems Ltd. is a CSA Certified Manufacturer. Fenestration Canada's mission is to represent and support all aspects of the window and door manufacturing industry, including formulating and promoting high standards of quality in manufacturing, design, marketing, distribution, sales and application of all types of window and door products. Window Wise is a quality assurance program designed to give homeowners peace of mind that their window investment will be a lasting one. Peace of mind that the products they're buying, and the trades people installing them, are of the highest quality. Peace of mind in knowing that no matter what happens to the window manufacturer or the contractor, they are protected by an industry-backed guarantee. S.A.W.D.A.C educates the consumers on what to look for in a contractor as well as educating the contractors on the demanding procedures and high standards they must follow in order to earn and retain their nationally recognized S.A.W.D.A.C Certification. 50% of the companies that apply for S.A.W.D.A.C membership are rejected because they simply DO NOT measure up. Vinylguard Window and Door Systems Ltd. is a certified member of S.A.W.D.A.C. Energy Star was created to help consumers easily identify products and homes that save energy and money as well as help to protect the environment. As the trusted symbol for energy efficiency, the Energy Star label identifies only products that are of superior energy performance.Vinylguard Window and Door Systems Ltd. is proud to be an Energy Star partner and we offer all of our customers the peace of mind of having the most energy efficient windows produced and supporting those windows with the best warranty in the industry today.